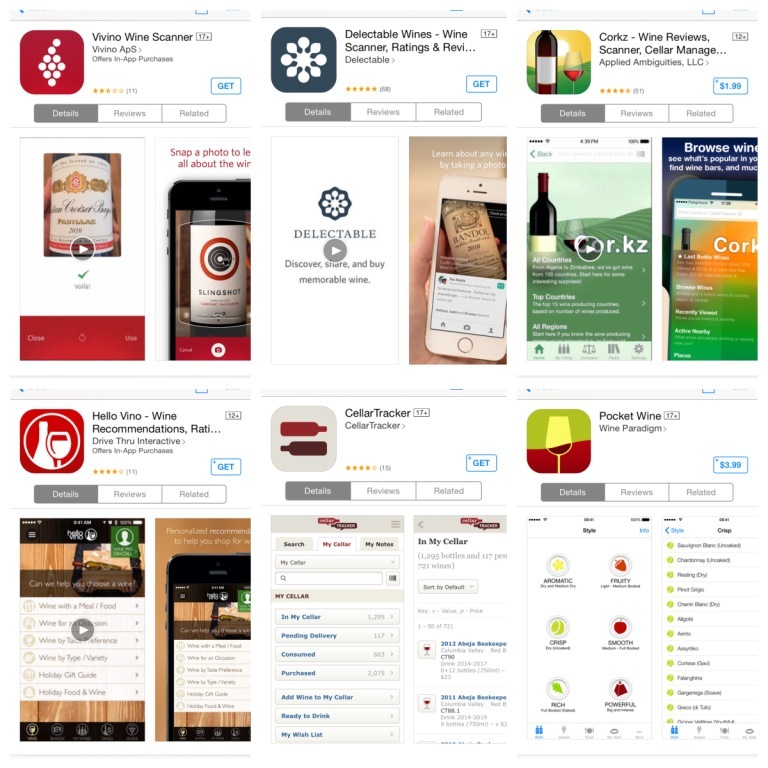 Home > Apps (wine apps), wine information	> Do You Have Wine With Your Apps? I have about 300 and growing every month. I remember them because I buy most of them and I know I don’t want to start drinking most of them till at least 2020. BTW, I bought the Chilean wine you recommended. Should I age or drink soon? Michelle, if you got only one bottle, drink it now. I’m sure it will evolve, but it is better to experience that youthful exuberance. If you have multiple bottles – for sure drink one now, and leave a few for later :). I use delectable and like it. Just signed up for wine maps.com, not an app or haven’t seen an app but seems interesting. Thanks, Suzanne! Have you tried any other apps before you started using Delectable? Don’t worry about it, Suzanne. was just curious. I started using Hello Vino and used it quite a bit at first, but have since stopped. At this point, I have a physical journal I write in. For the most part though, anything I absolutely love, I remember, and anything that was awful, I also remember. Wine information: I have apps from an Italian and from a German wine buying guide on my phone. I prefer the app over the book because it is cheaper and easier to get (as the books are published in Italy/Germany and would have to be ordered from there). The Italian app (Gambero Rosso) is a bit buggy. The apps are also nice to use in restaurants to check the score before ordering a bottle. I use the term “use” very loosely as it is about 5% of the time. I use Cellar Tracker to keep track of my cellar — I have roughly 400 bottles. I have and occasionally use Delectable, though I find it a bit redundant with Cellar Tracker for ratings and reviews. It’s too much work to post basically the same information across multiple apps/platforms. I need to streamline that process!! I use WTSO and Wine-Searcher ALL the time!! Salud, Anatoli!